Would you trust a new name to keep your motorcycle or scooter safe from thieves? 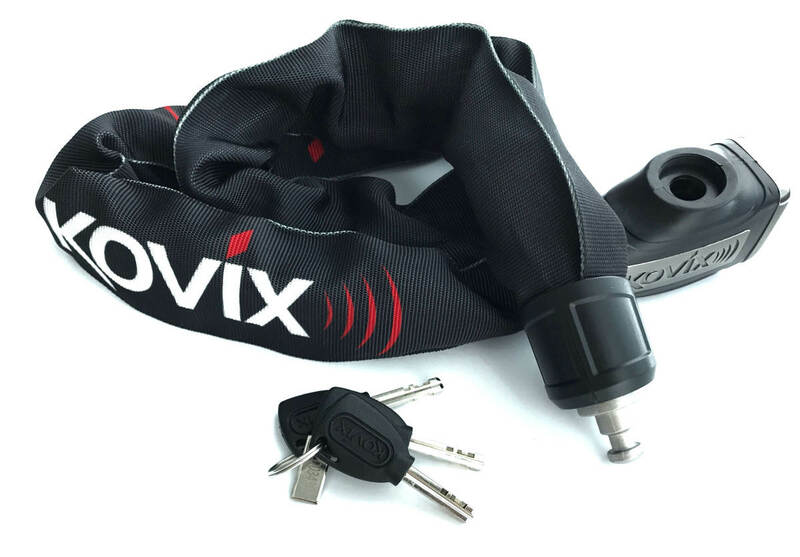 It’s worth asking, as Kovix motorcycle security products come to the UK for the first time. The company has actually been designing and manufacturing a range of anti-theft kit for more than a decade in southeast China. And a number of their stainless steel locks pass the Classe SRA standard required by insurers in France. So why consider Kovix motorcycle security products? Well, one feature is that many of the locks feature a built-in 120db alarm siren, which is louder than a chainsaw or a rock concert. So even if you’ve got Metallica playing in your back garden, you should still be able to hear if some lowlife is messing with your motorcycle. The other is that the range costs between £19.99 and £124.99. And while the entry-level mini disc lock won’t prevent a really determined thief, it’s better than having no security at all when money is tight. Motorcycle security isn’t about making your machine impossible to steal. It’s really about making it more hassle for a thief than other targets nearby. The range includes disc locks, chain locks and U-locks, available from dealers across the UK. The models with a built-in alarm feature a fully weatherproof module with a long life lithium battery, which you can remove or replace. And the alarm can also be switched on or off, depending whether you want the noise alert or need to keep things quiet for some reason. You’ll need to recharge the battery roughly every 3 months to avoid any damage to it. 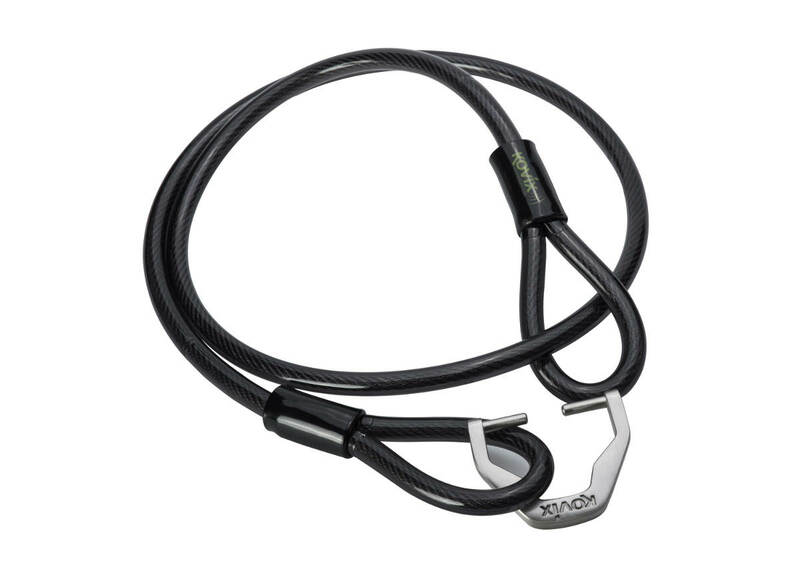 You can also add more Kovix accessories, including a 1m5 metre cable with a disc lock adapter pictured above, lock holders for £12.99 to carry your disc lock on your bike, and disk lock reminders for £4.99 to avoid trying to pull away and falling over because you left the lock on. 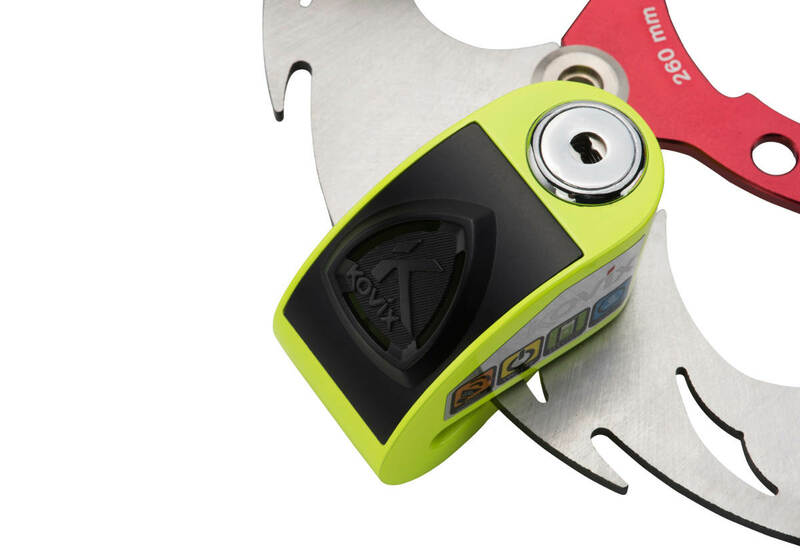 The Kovix disc locks with alarms start with the KD6, with a steel body and 6mm locking pin for £59.99. If you want an alarmed chain lock, you’re looking at £74.99 for the KCL8-120, with the ultra-strong lock unit welded to the 1.2 metre chain. Or there’s the Classe SRA certified KBL16 alarmed padlock at £94.99. 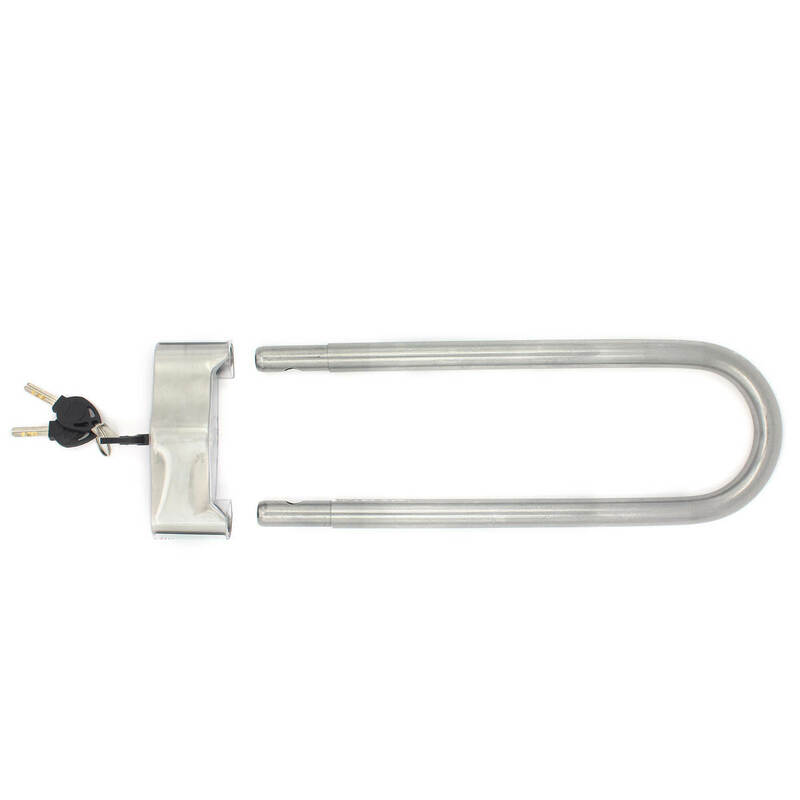 And there are also a couple of alarmed locks for trailers as well, which is useful for track or show bikes. Now the Kovix motorcycle security products range is officially in the UK, you can also get spares and tech support from dealers. And all the locks come with numbered keys, which can be replaced by most key-cutters using a unique code rather than needing to copy the original. Whichever security devices you pick, the most important aspect is that it’s something you’ll actually use, rather than leaving it sat in the garage or at home because it’s too much hassle. Kovix products come with a one year warranty for damage to the module or mechanical parts if it’s destroyed by non man-made damage.